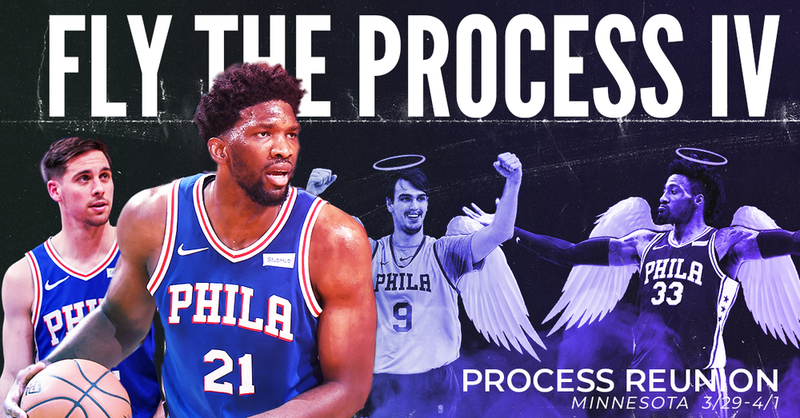 WE’RE GOING TO MINNESOTA TO REUNITE THE PROCESS CORE FOUR! We were going to Atlanta, but then the trade happened, so we thought it was more important to go to Minneapolis. We will see the Sixers play the Timberwolves, but more importantly, visit two children of the Process, Robert Covington and Dario Saric. We’re working on some special surprises, and of course our goal is to reunite the Process Core Four for a moment. Oh, and Jimmy Butler will be going to face his old team. The t-shirt (pictured left) is an all-timer, based on Guns N’ Roses’ Appetite For Destruction album. It features Embiid (top), Roco (bottom), Dario (right), TJ (left) and of course Hinkie (center). Round trip airfare from Philadelphia to Minnesota (depart 3/29, return 4/1). Non-stop flights will be limited so book soon! 3 night hotel at the 4-Star Embassy Suites by Hilton including a daily breakfast buffet, and a complimentary happy hour with free snacks and drinks. 3 hour all inclusive pre-game party blocks from the arena. (drink specials and free buffet included). Upper level game ticket seated all together in the game. Access to go on the court post game for a group photo after the game (these are legendary). 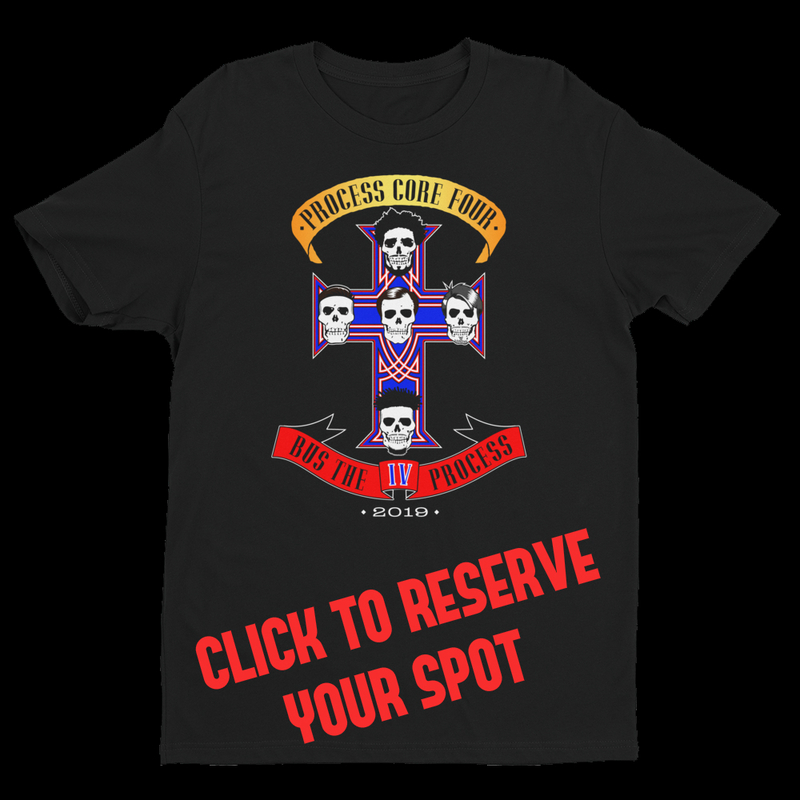 Spots are expected to fill fast, and are very limited for this trip. All it takes is a $150 deposit per person to reserve your spot. From there the remaining balance is broken into very flexible payments leading up to the trip, or however you may want it. Please refer to the payment plan tab for all details. All deposits and payments are NON-REFUNDABLE. If you have any questions please let Joe at Phans of Philly know (joe@phansofphilly.com).